Humility is a noble quality not everyone posses. Perhaps the reason why it’s so rare, is the tremendous inner strength and discipline it takes to build up in order to remain modest in a world of abundance. Not everyone is capable of doing that and it’s not because they can’t but simply because many people won’t, because it takes more than courage. It takes gratitude. It takes an unshakable will to learn. But most of all it takes incredible belief in the good in people. That’s why humble people are often believed to make for exceptional leaders, as it seems like they’ve learnt how to walk the dreadful thin line between vanity and self-deprecation. The masterful balance between the two can oftentimes make or brake a person. This is why we celebrate these remarkable individuals and marvel at their powerful compassion for humanity. 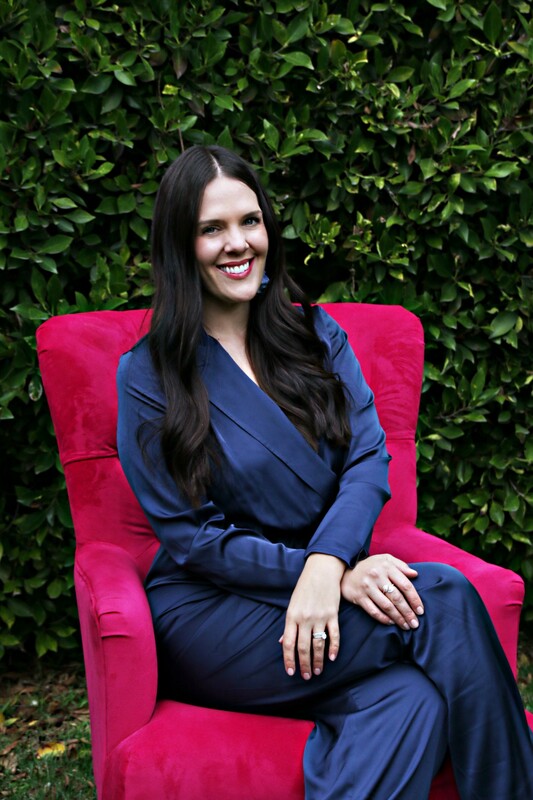 Tessa Brand, a thriving women entrepreneur behind the wedding planning business Tessa Lyn Events is one of these humble women, whose impressive career is overshadowed by her humility. Between the 150 weddings planned among which Anna Camp (Pitch Perfect) and Skylar Astin’s nuptials, the prestigious acclaim of being one of the world’s best wedding organizers by the Knot for 5 years in a row, listed as one of the top 50 wedding planners in the world by DWHA, press inclusions in People, UsWeekly, and Brides and being honored as one of PureWow’s 100 list, a list of strong female entrepreneurs emerging in culture, the most impressive thing about her is being on a leadership board for USC, and actively contributing to City of Hope cancer treatment center. And that’s officially what makes her one of the coolest faces, we’ve had the privilege to work with. So read on, if you want to get a piece of wisdom that will last a lifetime. BASTET NOIR: Who is Tessa Brand? TB: A mom, a wife, and entrepreneur, a wedding enthusiast. BASTET NOIR: What a day in your life looks like? TB: I spend the morning with my husband and two daughters, which is time self-employment allows. I have an office in my home, which is where the logistical planning for every event starts. I spend most afternoons at meetings with my clients, which could be at a florist’s studio, at a rental showroom selecting china and glassware, or interviewing photographers at their office. Each day is different. TB: I constantly remind myself of the importance of work/life balance. Personal relationships and life’s moments give you emotional fuel. Running a business challenges you and motivates you to work harder and achieve more. Both facets are important and make me feel well rounded. TB: Choose something you truly love to do. It sounds so obvious, but when the excitement of something new wears off, you want to make sure you enjoy what you are doing with your day. When I am on vacation, I am teased because I read wedding magazines, but it’s a true sign of passion. You also need to carefully consider who you will be spending your time with on a daily basis. I have always valued my relationships with other women and knowing the wedding industry is female dominant, I enjoy working with women as clients, but also as fellow designers behind the scenes. I believe entrepreneurial minds are fascinating. It takes a motivated, creative, and hard-working person to start a successful business. I like spending time with people that encompass those traits. BASTET NOIR: Best female empowerment speech or go-to podcast that inspires and motivates you. TB :One of my many goals for 2019 is to read more. There are so many incredible women (and men) to learn from and I need to invest more time in listening to their stories. I love “How I built This” podcast, especially the episode with Rent the Runway founder Jennifer Hyman. BASTET NOIR: We live in a world where businesses often times forget how important the human part of their business is. But thanks to social entrepreneurship, there are now companies whose entire focus is on helping people. You and your family have supported a USC cancer treatment center since 2015 by donating time and money. Do you think by having more businesses supporting strong social causes that we can make a difference in the world? TB: When we look back on our life, we will be proud of the people we helped and the legacy we left behind. We won’t think about the money we made, or the projects we completed; therefore our efforts should always consider others that may need our help. We should teach our children to carry that forward, which will absolutely make a difference in the world. TB: Our failures are as important as our successes. I always say that I am human and I’ll definitely make mistakes, but I am not likely to make the same mistake twice. But I am also wise enough to not share my failures in the press. Just know there have been some. BASTET NOIR: Proudest moment to date and how did you celebrate it? TB: I was recently inducted into the Pure Wow 100 which is list of strong female entrepreneurs emerging in culture. I was incredibly proud to be in the company of so many women I admire. It felt fantastic to be honored as a businesswoman amongst all industries, not just the wedding industry. First I thanked my team because without them I wouldn’t be anywhere, and then my husband took me out to dinner to celebrate. TB: I am totally in love with the jumpsuits; they can be used for work or a night out, not to mention are so easy and comfortable! If you want to change the world, the difference you make has to start with you. Your legacy at the end of the day is not determined by how much money you’ve made, but how many people you’ve helped or lifted up along the way. It’s the only thing that makes life worth living and it’s the only think we should fight for. So thank you Tessa for your support and gracing us with your wisdom by showing what’s truly important in life. If you liked Tessa’s story, there’s plenty more to come, just hit that sign up button to get in our inner circle of coolness and never ever miss a thang.